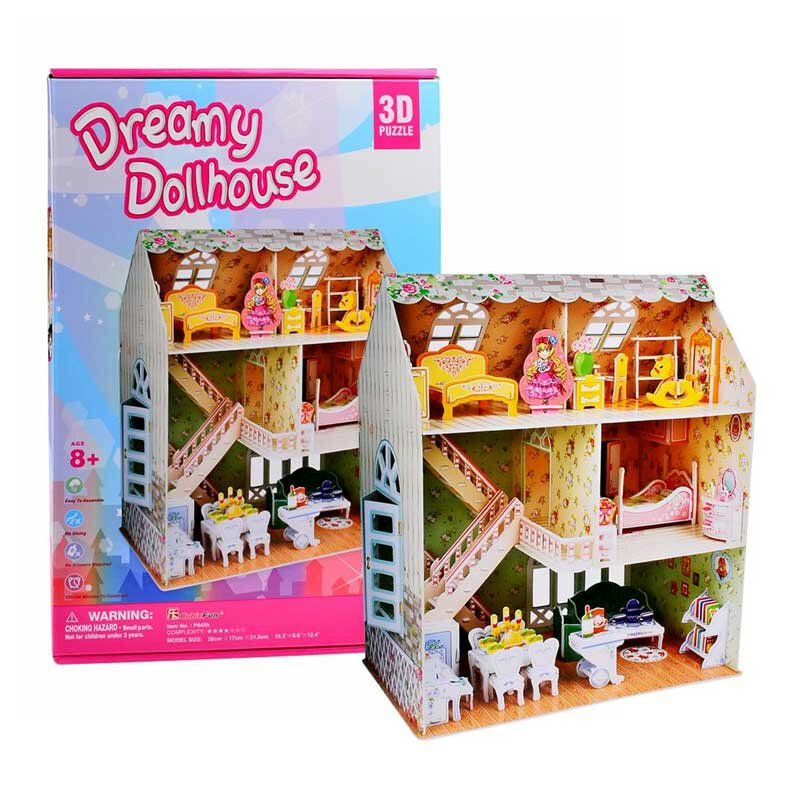 160-piece puzzle of a cute 3-storey dollhouse. 160-piece puzzle of a cute 3-storey dollhouse. These 3D puzzles are made of paper and expandable polystyrene foam board. Finished model measures 31.5cm tall x 26cm wide x 17cm deep.